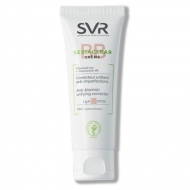 Relieves and reduces red marks. 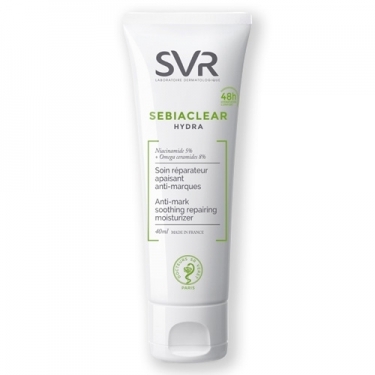 DESCRIPTION: Sebiaclear Hydra from SVR is the 1st repair, moisturizing, anti-marking, specifically designed for acne and dehydrated skin. A formulation adapted for the most sensitive skin, is a hypoallergenic, non-comedogenic cream, free of parabens, mineral oils and squalene. This care with physiological pH is suitable for all skin types, even sensitive. The skin is hydrated with a very high concentration of active: Omega Ceramides that regulate the dryness of the skin, managing to restore the protective barrier of the skin; hydrophilic sugars that hydrate for 72 hours; niacinamide with dual efficiency, relieves and reduces red marks. 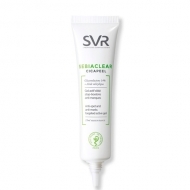 This cream penetrates easily, it is a great makeup base, which has a velvety and non-greasy finish.